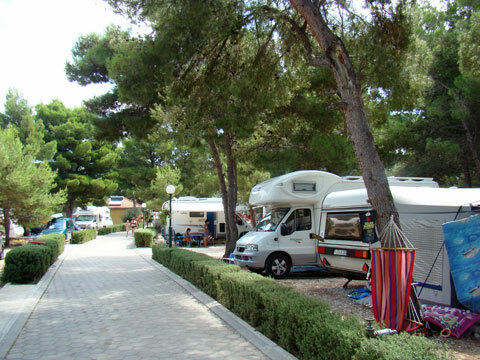 The Camping offer in Croatia includes campsites for literally every one, since the early 60- 70th where camping in Croatia (Yugoslavia) became popular, among tourist from Germany, Austria and Italy, a lot has happened with the camping offer in Croatia. 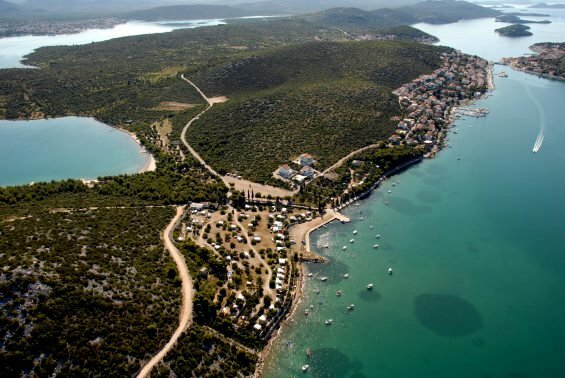 The current camping offer in Croatia include more then 300 campsites, here you find a complete list of all campsites in Croatia. 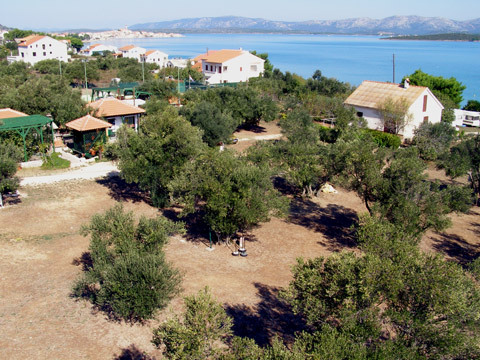 The campsite offer in Croatia range from small family campsites, with a capacity of 30-40 people, too major luxury campsites that can host up to 10.000 campers. 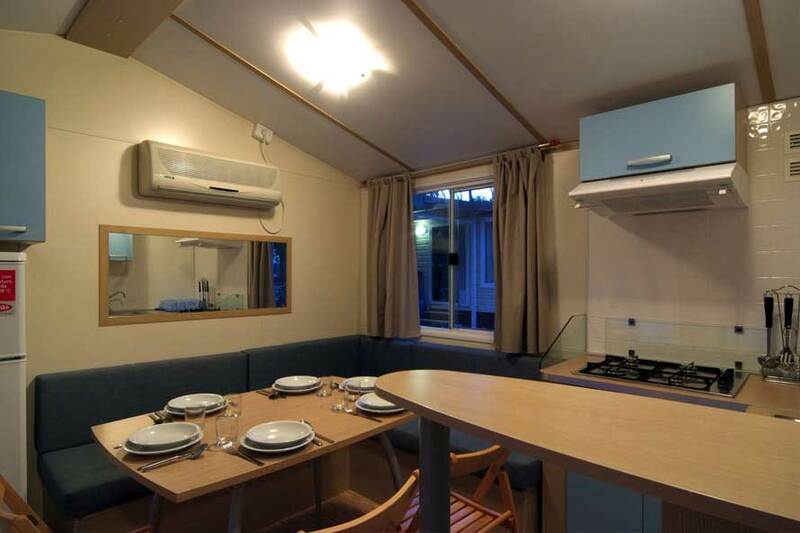 Camping facilities in Croatia: An increasing number of campsites have started offering Bungalows, Apartments, tents and especially mobile homes for rent, from year to year more and more campsites enhances their offer with services like this. 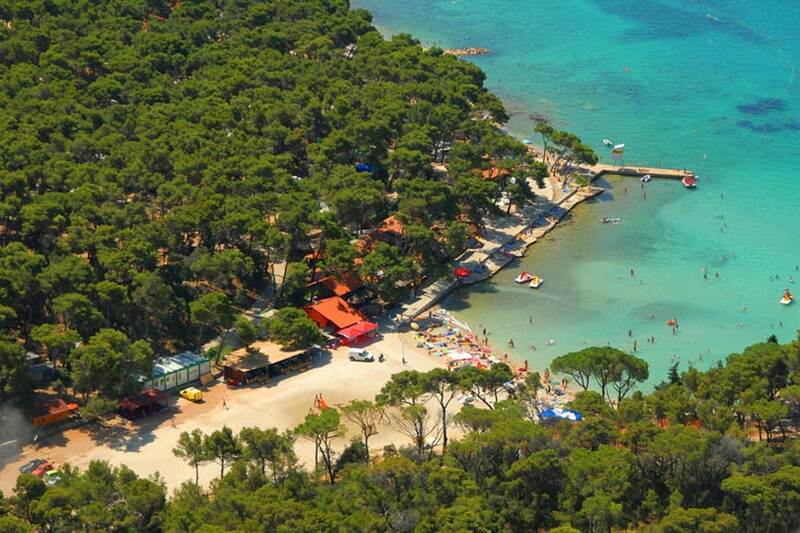 In terms of facilities an increasing number of campsites offer beautiful pool areas and prepared beaches, in some cases event artificial sandy beaches. Internet access is another facility which slowly is becoming standard on most campsites, but not that campsites has diverse strategies in relation to Internet, some use it as additional income source, some offer internet access for free. 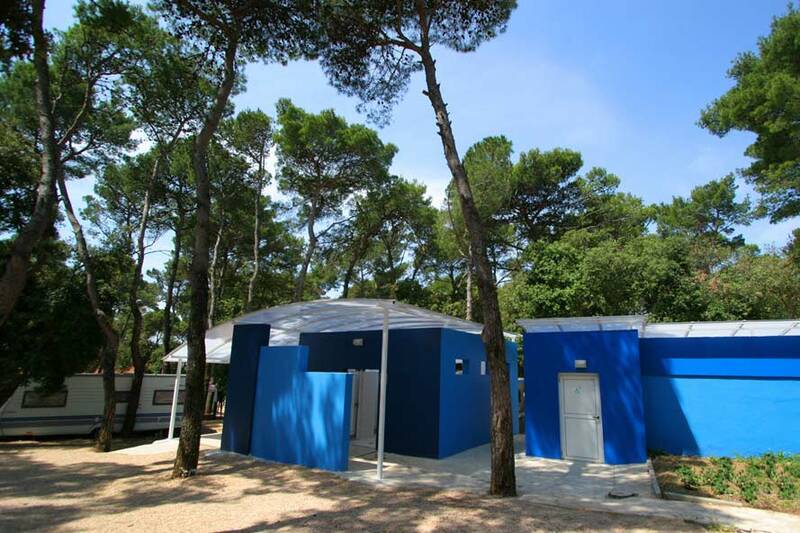 The general standard of the toilet facilities is another area, which have been improved on the majority of the campsites in Croatia, on the top camps family toilet has become part of the “standard” offer. I majority of campsites existing toilet facilities has been undergoing thorough renovation the recent years, but there are still campsites which needs to finalize this part. 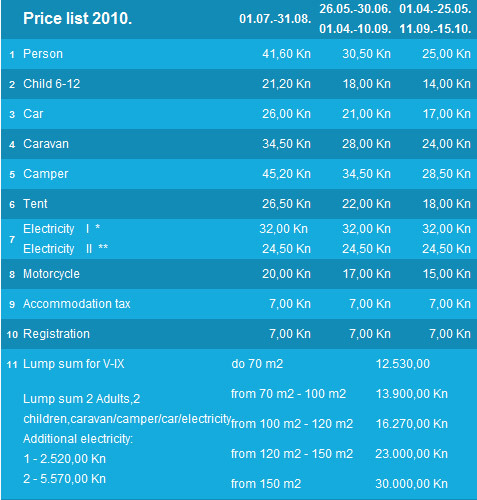 Camping Lots / Pitches in Croatia: Also the camping pitches in Croatia has been effected by the development of the camping offer in Croatia, standard marked lost still counts for the waste majority of camping lost, but today these standard lots often has water and electricity on the lot. In addition to the standard pitches an increasing number of campsites have introduced superior and mega lots up to a size of 200 m2 and most properly we have not yet seen the end of this development. 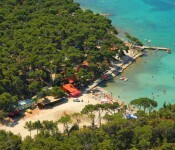 Camping in Istria: The camping “Mekka” in Croatia is beyond any doubt the Istrian peninsula, no where else in Croatia, so many large campsites can be found, the campsites are mainly concentrated on the Westside of the peninsula, especially the cities Porec, Vrsar, Rovinj, Umag, Pula and Medulin has a high density of campsites, our personal recommendation for those who like camping in beautiful nature surroundings, is Camping in Medulin. 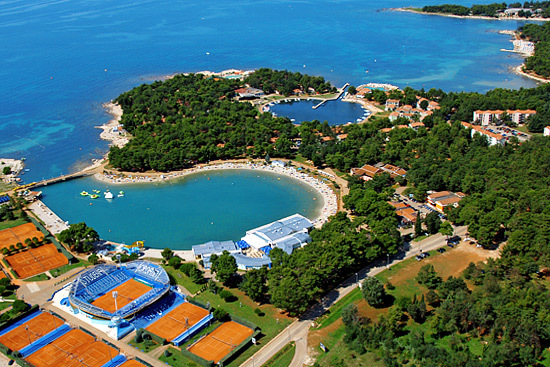 For those who are looking for Naturist camping we can recommend to check the campsites in Porec or alternatively the FKK campsites in Umag. 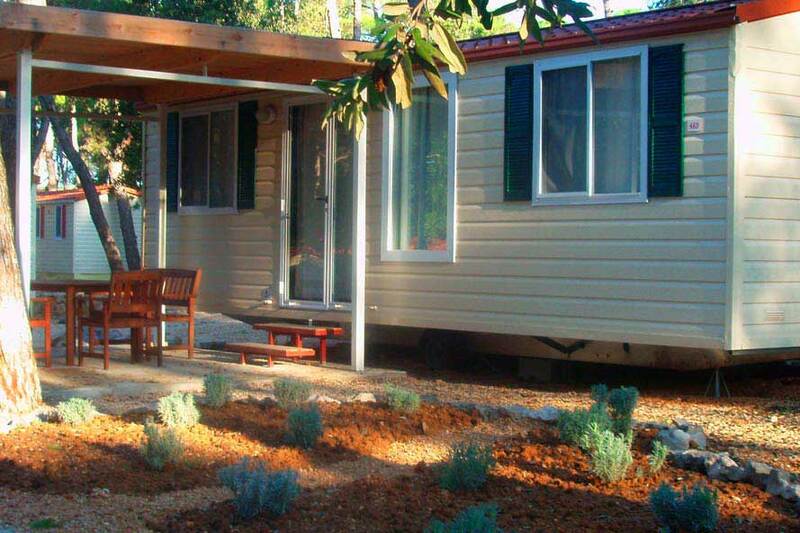 A large part of the campsites in Istria offer Mobile homes for rent, tent rental is quite limited in the area. 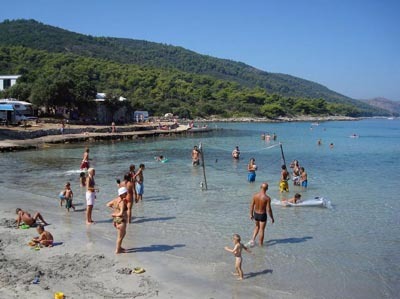 Camping in Kvarner: In Kvarner campsites can be found on the coast before and after Rijeka, but the majority of the campsites in Kvarner are can be found on the islands, Krk, Rab, Cres and Mali Losinj, the campsite offer range from small family campsite to medium / large luxury campsites, if you are looking for Nudist camping you should check some of the Campsites on Island Krk. On all islands the camps are well distributed. Camping in Dalmatia: The camping offer in Dalmatia has been upgrade considerably during the last decade, although the small family run campsites are still in the majority the number of medium and large luxury campsites has increased over the last years, one example is camping Zaton by Nin / Zadar, in the region of Zadar there is more then 20 campsites. 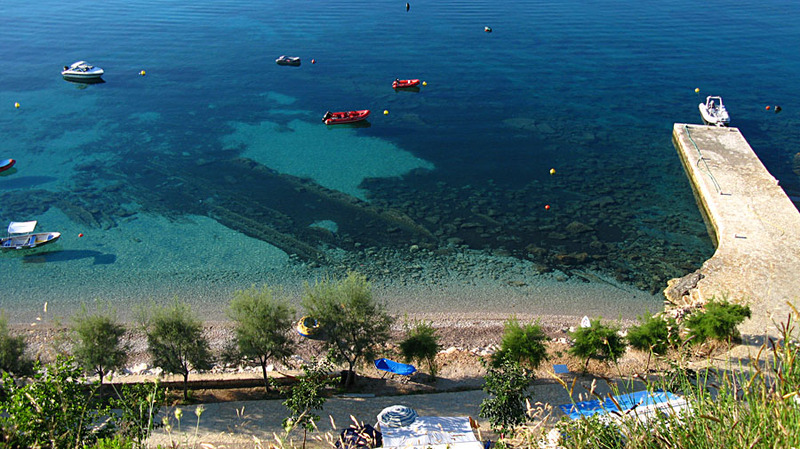 Around Split there is only one midsized campsite, alternatively look in the neighbouring cities Trogir or Omis. 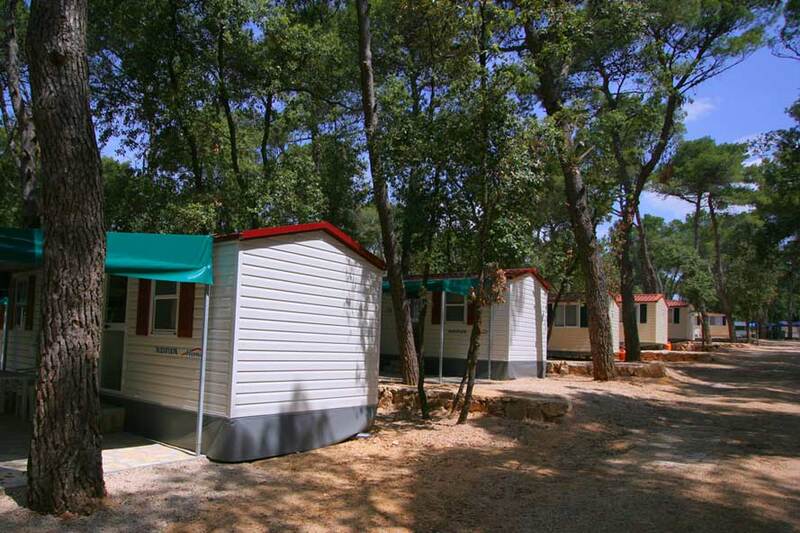 On the Dalmatian Island more and more medium campsites are opened. 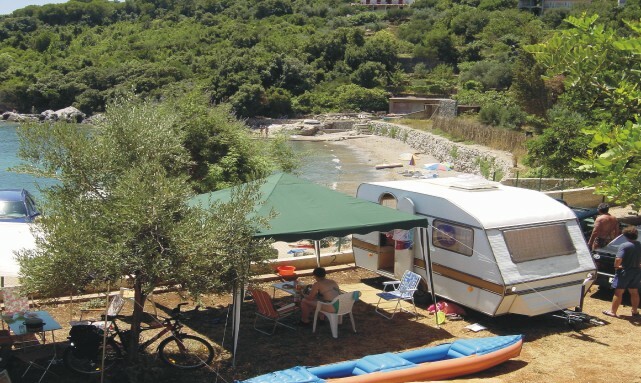 In the area around Dubrovnik most campsites can be found south of the city.